2016 has been hit and miss for sequels and reboots. So far we’ve had the dull Independence Day: Resurgence, the reboot of Ghostbusters, as well as the forgettable Now You See Me 2 and Bad Neighbours 2. Sitting through the latest Alice in Wonderland film was physically painful and a complete misfire. Whilst it seems that we’re dying for more original material, I thought it was worth reminding everyone that not all sequels are bad. In face some can argue that some sequels are better than the originals. For the sake of this list and to keep it to a top 10, I’ve excluded the superhero genre so no Marvel or DC love here. I’ve also taken out planned adaptations i.e. Harry Potter, Lord of the Rings, and Jason Bourne. Comment at the bottom of this article with your favourite sequels. Michael Bay’s follow up once again pairs tough talking cops Marcus Burnett (Martin Lawrence) and Mike Lowrey (Will Smith). Bad Boys II is superior to the first outing in almost every way, the story is more interesting, the action is ridiculously entertaining and good fun and the chemistry between the two leads is pitch perfect the whole way through. Bad Boys II is also funnier, bombastic in its approach and a perfect popcorn action film. James Cameron’s follow up to the claustrophobic sci-fi Alien is wonderful because of the completely different direction he decided to take the film. This time around Ripley joins a group of colonial marines as they investigate a colony on LV-426. Instead of a subtle horror film, the guns are blazing, there are explosions everywhere, tough army guys are killing and making quips left right and centre. Aliens is a tremendous achievement as it creates a near constant debate over which film is better. The inclusion of Newt and Hicks is brilliant and Aliens rightfully stands shoulder to shoulder with the original film. The first Die Hard is in my top 10 films of all time but I’ve always had a soft spot for John McClane’s third outing. This time around he’s targeted by a twisted and jovial thief called Simon Gruber, the brother of Alan Rickman’s Hans Gruber. What I love so much about Vengeance is that the action is out on the streets, the stakes are much higher than the first film and the action set pieces are stupid but brilliant. Jeremy Irons is a worthy successor to Rickman and the addition of Samuel L Jackson as McClane’s sidekick works perfectly. Whilst Die Hard 2 is a bit of a mess, Die Hard with a Vengeance has a witty script, great action and acting. James Cameron’s second appearance on this list; T2 is everything a decent sequel should be. I actually watched T2 before the original Terminator and whilst I do still think that the original is a better film, there’s no arguing that T2 delivers in every way. This time around Arnie is the good guy, protecting John Connor (Edward Furlong) and Sarah Connor (Linda Hamilton) is hard-core and hench from all that working out in a psychiatric facility. The script is brilliant and adds so much more depth to the world Cameron created. All of the action set pieces have a lot of emotional punch behind them and the intro of the T1000 (Robert Patrick) is ingenious, cementing him as one of the greatest film villains of all time. The first Mission: Impossible was a psychological and tense thriller that’s been mimicked continually since. John Woo’s outing was laughably bad and the third film was great but not without flaws. 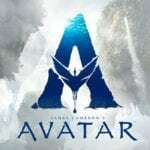 Brad Bird breaks into live action film making with a fun action adventure that boasts a scene which will give any vertigo sufferer an excuse to leave the cinema. Seeing Tom Cruise’s Ethan Hunt scaling the side of the Burj Khalifa will have you on the edge of your seat just as much as watching him dangle in that CIA room in the first film. The villain is entertainingly stupid this time around and giving Simon Pegg’s Benji more screen time makes the fourth Mission: Impossible outing the best so far. Whilst technically a prequel/sequel hybrid, this follow up to the behemoth that was The Godfather adds so much characterisation and depth to the original film that it can’t be ignored. With a phenomenal turn from Robert De Niro and solid support all around, The Godfather Part 2 is a seminal film that helps build on a fascinating family and the world they live in. Some people love Temple of Doom, I’m not one of them. Following up Raiders of the Last Ark is no mean feat, but Last Crusade is a brilliantly enjoyable romp from start to finish. This time around Indie is looking for the Holy Grail whilst being attacked by Nazis and having to put up with his condescending Father. Casting Sean Connery was a stroke of genius and the chemistry between him and Ford is electric and spurs the film onwards. Whilst the film is littered with plot holes and a few dodgy effects, it is great fun and watching all four men riding off into the sunset at the end is sublime. No one expected the reboot of 21 Jump Street starring that guy from Superbad and the pretty boy who dances from Step Up to work, but boy were we wrong. 21 Jump Street was an awesome movie and the sequel delivered as well. This time Schmidt (Jonah Hill) and Jenko (Channing Tatum) are undercover in college searching for the dealer of another drug. What works so well about 22 Jump Street is that they acknowledge all of the sequel clichés and embrace them to wonderful effect. It doesn’t try to do anything new, it holds its head up high and enjoys the stupidity of the scenario and I love it all the more for that. Whilst El Mariachi packs more of an emotional punch, Desperado is one of the greatest action films of all time and deserves to be on this list. Picking up after his lover has been killed, El Mariachi (this time played by Antonio Banderas) is on a mission and becomes embroiled in a war with a local drug runner. Joined by Salma Hayek, the pair’s chemistry is sizzling and the action is ten times better than the previous film. With a larger budget and arguably stronger actors, Desperado is a thrill ride from start to finish. Following on from Michael Mann’s seminal thriller Manhunter (remade in 2002 by Brett Ratner as Red Dragon), The Silence of the Lambs rebooted the series after Manhunter made little impact at the box office. It is one of the most iconic thrillers of all time – and it deserves this honour. Anthony Hopkins shines in the role that he will forever be known for – Hannibal Lecter. A serial killer called Buffalo Bill is skinning women up and down the country and the FBI are stumped. Agent Jack Crawford sends trainee Clarice Starling (Jodie Foster) to meet with Lecter to try and gain some insight. The power play and the affection between Foster and Hopkins is electric and horrifying to watch. Packed with gruesome scenes, heart stopping moments and ingenious twists, The Silence of the Lambs is extremely different to Manhunter, but for me it is a superior film. Bad Boys is better than Bad Boys 2 (though 2 is quite fun). Rogue Nation is even better than Ghost Protocol. Temple of Doom is definitely better than Last Crusade.